DSC03055, a photo by CAKE Amsterdam - Cakes by ZOBOT on Flickr. 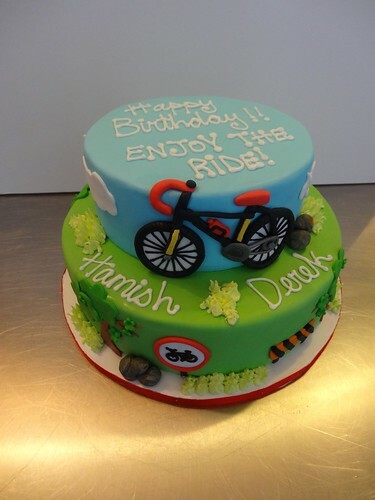 Road Cyclists Birthday Cake for some cycling fanatics! ENJOY THE RIDE Hamish & Derek! FLAVORS : Fresh & Lemony with Raspberries and Carrot Cake with cream cheese frosting and roasted pecans.